What a weird week to be a Nashville Predators fan. First they lay the hammer down on the defending Stanley Cup champs, then they get dominated by their Western Conference Rivals, the Winnipeg Jets. Today’s NHL is as even as it’s ever been, the worst club could beat the league leader on any given night. The salary cap has created parity, for better and for worse. So let’s not get too down after a five to one loss, it happens. We all have bad days at work, but at least thousands of fans aren’t critically breaking down your performance. Ryan Johansen was just suspended two games by the Department of Player Safety for slashing Mark Scheifele on the head. When I saw the slash in real time, I knew it’d get looked at. It looked like an accident caused by being off balance, but the result stays the same. Johansen’s stick came down on Mark Scheifele’s head when Johansen had two hands on his stick. That deserved to be looked at and at least two games, in my opinion. I think it’s impossible to argue intent, seeing as it all happened so quick, but the result was still bad enough. I’m just glad there were no injures. As a reformed Sharks fan who writes about a few teams in the NHL, the one team I still dislike is the Anaheim Ducks. That’s not an unpopular decision anywhere outside of Orange County, but I’m still glad I took a stand. With what I just wrote in mind, it brought me much joy to see that the Ducks are slipping and sliding down the Western Conference. They lost 12 consecutive games, although they recently beat an equally lost Minnesota Wild club. I just wonder who could’ve seen this coming. Certainly not the Toronto Maple Leafs’ fans who warned about Randy Carlyle. Certainly not the fans who worried about Corey Perry’s lack of speed and Ryan Kesler’s brittle bones. At least they still have John Gibson, I guess. I took one business class in college and while I’ve forgotten just about everything, one thing has stayed with me. Buy low, sell high, not the other way around. 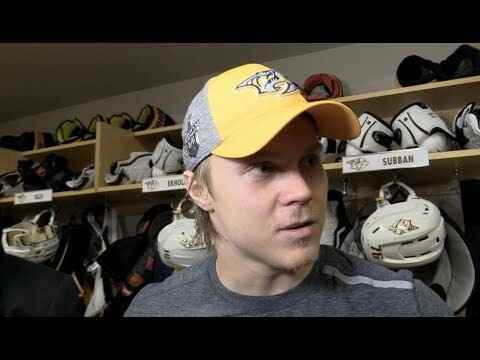 Right now, the Predators, their fans, and therefore the NHL are (wrongly) low on Fiala, so what would you hope for in a return? Trading a known quantity for an older rental would do no good in the long or short run, and trading for futures is crap shoot. Who knows, maybe that first or second round pick you just acquired grows up to one day be as good as Fiala? Besides that, Fiala is going to be a cost certainty very soon. He’s about to outgrow his entry-level contract (ELC), so his cost will go up, but he’ll be a restricted free agent (RFA) with very little negotiating rights as he’d have to sign an offer sheet to leave Nashville. Something that hasn’t been done since Shea Weber tried to quit about eight years ago. I know that last sentence isn’t going to make me a lot of friends, but it’s true. Maybe instead of trying to run the good players who like Nashville out of town, we should focus on the players, coaches, and managers who deserve the scrutiny. Remember the old days? Remember guys like Keith Tkachuk, Owen Nolan, and Brendan Shanahan? Remember power forwards? I miss it. Don’t get me wrong, I don’t miss the days where each game would end two to one and the trap destroyed any form of enjoyment in Hockey, but I miss some of the old roles. I miss seeing Owen Nolan fight some 6-foot 4-inch defenseman who could barely skate backward, then shoot a laser past some goaltender who barely left the butterfly position all game. That’s why I get really excited whenever I see those kinds of players today. Ryane Clowe was one of my favorites, but Wayne Simmonds moved into first place in my heart after Clowe retired. I even have a guilty pleasure, watching Tom Wilson. Wilson is an extraordinary talent who can pot 20 goals and rack up over 100 hits, but the dirty stuff keeps me from really committing to him. Nevertheless, I think I’ve found my new favorite in Carolina. Micheal Ferland is everything you want in a hockey player. He’s fought addiction and adversity to become an NHL regular who can score, hit, and fight. Ferland’s tilt with Austin Watson is what finally won me over. He’s everything you want from a player, he scores goals, he opens up the ice with his forechecking, and he can protect his teammates if needed. Some of you might be saying, “but George, don’t you dislike fighting?” and the answer is, I actually don’t. I just don’t like fighting for the sake of fighting, and I hate fighting at the expense of skill. But luckily with Ferland, you don’t have to choose. The big issue is that Ferland’s in the last year of his contract, and the price looks to be growing by the day. Carolina will obviously want to re-sign him, but his asking price is reported to be just below 7 million dollars! Some team might throw that at him, but anything more than 5 million would be too much in my opinion. 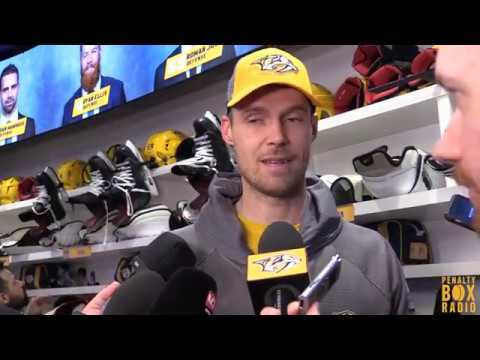 So, uh, Pekka Rinne hasn’t been great recently. In his last 10 games at five on five, Rinne has given up 24 goals on 245 shots with 13 coming from the high danger area. During this time, Rinne has given up 4.93 goals above expectation and is going through a cold streak. In his defense, he has no defense. I don’t mean that he’s culpible for the goals, I mean that everyone not named Subban or Ekholm is doing diddly in front of him. This is a systems issue that’s existed for the better part of two years, but has been covered up by Rinne and Saros’ great goaltending.